Where's the love, Mr. President? Sure, President Barack Obama has a lot to do. We're still not out of the woods economically, and there's that health care thing still bouncing around, but can't the guy find five minutes to meet with Chula Vista's boys of summer? 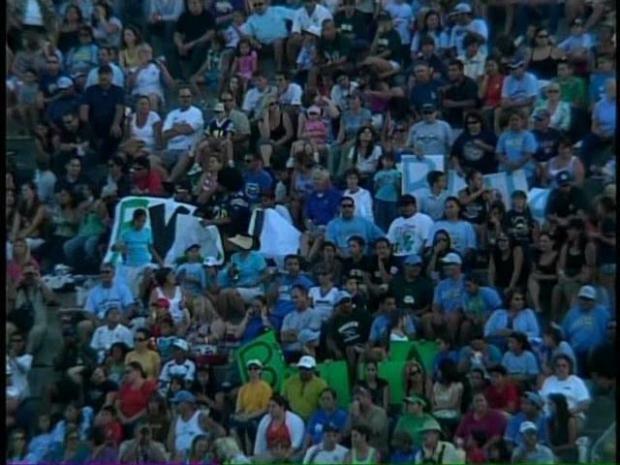 Friday will be the two-month anniversary of the team's 6-3 victory over Chinese Taipei in front of 30,000 fans. That's a lot of minutes. In fact, if the kids don't go to the White House soon, it could be the Bronx Bombers, not the Blue Bombers, who are first to shake hands with the First Family. According to Paul O'Sullivan, a spokesman who worked with the Park View Little League, he was told by a coach that they had received an invitation from somebody with a pretty good connection to the White House. "I was told by one of the coaches that Vice-President Joe Biden walked up to each player and said he would invite them to the White House," said O'Sullivan. Thousands of fans celebrated the Park View Little Leaguers championship at a rally at Southwestern College. According to O'Sullivan, the team has been trying to coordinate with Sen. Barbara Boxer's office to set up the Rose Garden-type meet-and-greet. 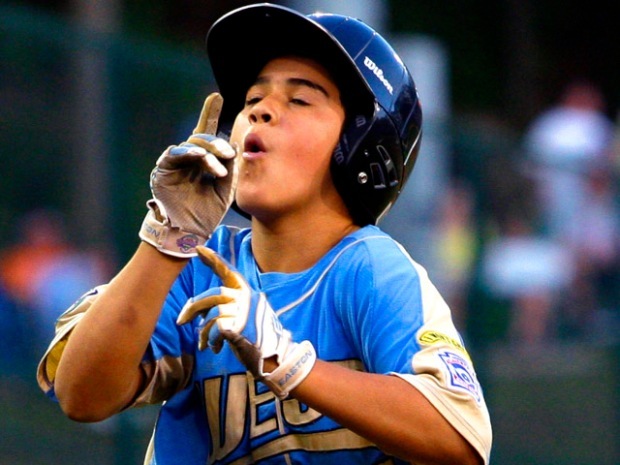 Shortly after Park View won it all at Williamsport, Boxer sent a letter to the president, requesting that Luke Ramirez and Co. be invited to the White House. "It would be an honor for the 12 Little League players, their families and coaches to visit the White House in recognition of their tremendous victory," Boxer said in the Sept. 3 letter. "I hope that you will join me, the San Diego community, the state of California in celebrating this achievement by welcoming them to the White House." Park View has other friends in high places, too, including local congressional Rep. Bob Filner, who said somebody in his office was calling the White House every day to follow up on the request. The Little League champs got a taste of the big time Saturday night when th ePadres and their fans celebrated the Park View All-Stars at Petco Park. "We are working on it," Filner said. Rod Roberto, the father of Bradley Roberto, who played right field for the Park View, said the families are still waiting on an invitation. "The teams's been busy doing a lot of things anyway ... I figure they'll be reaching out to us, but at this point in time I have not seen any follow-up from up from then," Roberto said. Roberto said that one of the things they're doing with the kids is to try to get them to give back to the community -- and that it's not all about playing baseball or being honored for winning the World Series. The Chula Vista dad said that in a way, it's good they haven't had to go to Washington yet. "They're in school ... they have no feeling either way, they're so busy with school," Roberto said. "They had missed 29 days of school already." Reached by phone this week, a White House spokesman said, "They are working to get them here." There's no date on the calendar, though. Not every U.S. team that wins the Little League World Series makes it to the White House, but in the 1950s and early '60s, it was pretty much an annual affair. 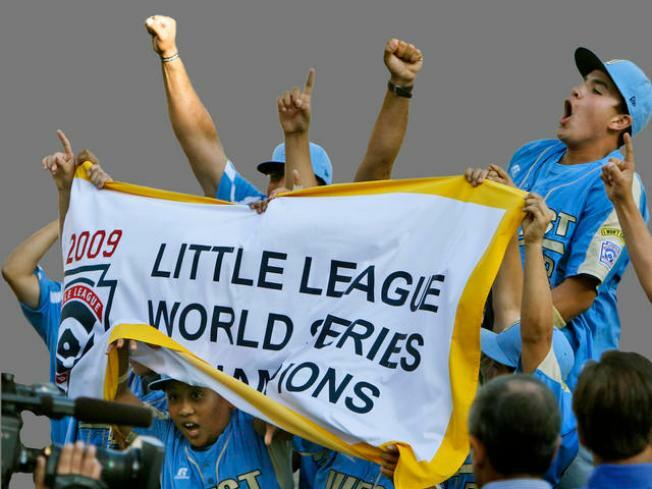 In the later '60s, as international teams started to dominate, the tradition lapsed to a degree, said Steve Barr, the Little League World Series director of media relations. As recently as 2007, however, the champs from Warner Robins, Georgia, beat Japan, then went to D.C. for a photo op with President George W. Bush on Nov. 7. It's not like President Obama never makes time for kids. For example, about two weeks after Park View won the series, he was on the South Lawn delivering remarks during a U.S. Olympians youth sporting event, which included fencing, gymnastics and judo demonstrations and helped to promote Chicago's bid for the 2016 Summer Olympics, according to the White House Web site. Oh, Ch-icago, not Ch-ula Vista. Sure, Park View got to meet the Padres, the Chargers and Conan O'Brien after they won it all, and by now, even the Mexican government has honored the team in an event that was held this past Monday and was led by the consul general of Mexico, Remedios Gomez Arnau. "The Mexican government, through its consulate in San Diego, considers it of great importance to recognize the impressive achievement that the Chula Vista Park View All Stars has obtained, and is a great example for the youth community,"
That's great for a bunch of kids living just miles from the Mexican border, but nothing can match meeting the president of the United States for a 12-year-old boy from California, right? So, what do you say, Mr. President? Eric S. Page reports about all things San Diego, but he draws the line at cat stories. You can follow his updates at twitter.com/espage or send him a story idea.